IHI is looking for eligible applicants for the post of Business Development and Partnerships Manager based in Tanzania. The Business Development and Partnerships Manager is a new position in the Institute and will focus on implementing a strategy to raise unrestricted and core revenue to allow organizational growth and build resilience. The Manager will ensure IHI is adequately financed and in strong fundraising and partnerships with governmental and private donors, corporate and other stakeholders. • Develop and manage partnerships with governmental, foundations and private donors. • Work through the IHI staff to articulate country level initiatives with regional perspectives. • Implement reports and systems so that fundraising income is analyzed and reported as per agreed donors’ schedule. • Support the Directors in managing donor and potential donor relations by organizing meetings, preparing presentations and documents and doing the research needed to help a Director target potential funding. • Identify research, build and maintain satisfactory relationships with partners at the international level. 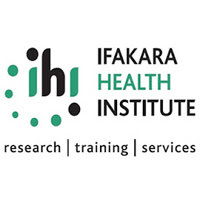 • Work with programme staff, donors and other stakeholders in the community to identify new opportunities for funding from existing donors; and new potential donors for IHI programmes, and generally. • Work across the Institute to ensure that fundraising is maximized. • Provide support, backstopping, guidance and training of IHI staff in fundraising and partnership matters at all levels. • Find solutions to ensure compliance with donor agreements, e.g., timely technical and financial reporting and fulfilling donor’s requirement regarding communication. • Support internal fundraising initiatives through the business units. • Perform other duties as requested by the Director. • University degree in Business Management, Development Studies or related fields. • Proven track record in successfully managing inter-institutional relations, preferably in the development field. • At least 5-year professional experience in inter-institutional relationship management. • Knowledge and experience of the realities of development issues, donor institutions, and the not-for-profit sector. • Highly competent on proposal and report writing skills; ability to understand the complex funding strategies of donors and match IHI’s programmes against these strategies; understanding of the key principles of good project delivery as relevant to fundraising (objective, outcomes, outputs, activities and monitoring indicators). • Excellent oral and written communication skills in English, Kiswahili or any other language could be an added advantage. An attractive and competitive remuneration package will be offered to a successful candidate as per IHI salary scales. This will depend on experience and competitiveness of similar organizations.